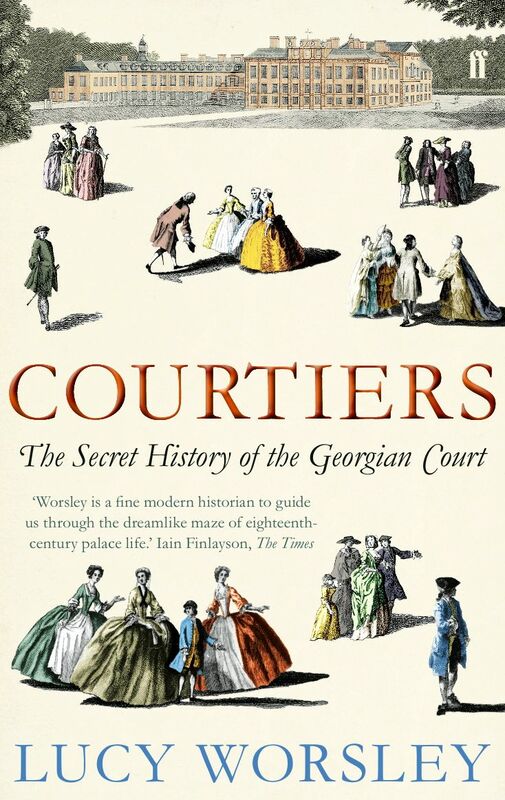 I’ve quite been proud and pleased to see big piles of my book Courtiers, which I published in 2011, on various bookshop tables over the last few days – and indeed, I have been quoting from it at length in our upcoming TV series on the Georgian court. Here is a re-post of an interview I did about the book a while ago for the History Today Book Club – and do visit their site too, while you’re at it. What inspired you to write Courtiers? I work as the chief curator at Kensington Palace and would often find myself walking up the King’s Grand Staircase there and wondering about the identities of the 45 people painted on its walls. William Kent in the 1720s decorated the staircase with a group portrait of servants from the lower ranks of the royal household. I used to hear all sorts of stories about who was who and finally decided to work it out as definitively as possible. Four years later, the result was Courtiers. The King’s Grand Staircase boasts an extraordinary cast of characters, crossing class boundaries. How did you go about researching the lives of the more obscure? Well, even if the duties of royal servants are menial and their official status low, they can still sometimes wield enormous power. Take Mohammad, for example, George I’s Turkish valet. He helped the king to dress – he even treated the royal haemorrhoids – and because of his access he was said to be as important as a government minister. Consequently he appears often in the written sources, had his portrait painted, even left his own memoirs. Others were harder to track down, but that’s the kind of challenge I like, restoring minor figures who’ve been neglected from the official story. This was a time of relative decline in the power of the Crown. Yet George I and George II still wielded political power. How did this manifest itself? Of course the main event in political history in the 18th century is the rise of Parliament. But George I and George II still had the ultimate power of appointing their ministers. Although German, they and particularly Queen Caroline were much more engaged with British culture (and spoke English better) than many people assume today. So politicians continued to put in the hours necessary to succeed at court, where their status was expressed through the seemingly trivial details of seating, dress and body language. Among the most extraordinary characters is Peter the Wild Boy. Can you tell us about him and how much can be said for certain about his life? The structure of Courtiers is a complex one. How did you arrive at it and do you always have a wider public in mind? My main job as a curator is to try to get people interested in history, to visit our palaces, to enjoy themselves and to learn something, too. I try to do the same with my books, to entertain as well as to inform. 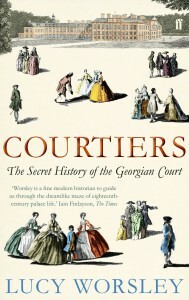 I imagined Courtiers as the king of history you can lose yourself in, the sort of book I myself like to devour while on holiday. The structure of a group biography is always tricky, so I planned it all out with a big chart. I also found Robert McKee’s principles of storytelling really helpful and as relevant to history as fiction. You have a job that many people would envy. Tell us about a typical day at the Historic Royal Palaces, if there is such a thing? And what projects are you working on now? The other day I was poking around at Hampton Court, which also comes under our remit, trying to work out the exact route a royal mistress would have taken to pay a private visit to the king and a colleague and I happened to discuss how lucky we are to get paid for spending our time like this! As curators we devise new exhibitions, make acquisitions to the collection, carry out research, of course, and constantly talk to people about what we’ve discovered (whether through guided tours or on television). At the moment we’re putting the final touches to the season’s new displays at Kensington Palace. It’s a fab book Lucy. For me, you succeeded in spades. I wasn’t that interested in the era, couldn’t tell one George from another… But I gave it a go anyway because you wrote it. Looking forward to the TV series.